Choose from compact four-or six-wheeled options. 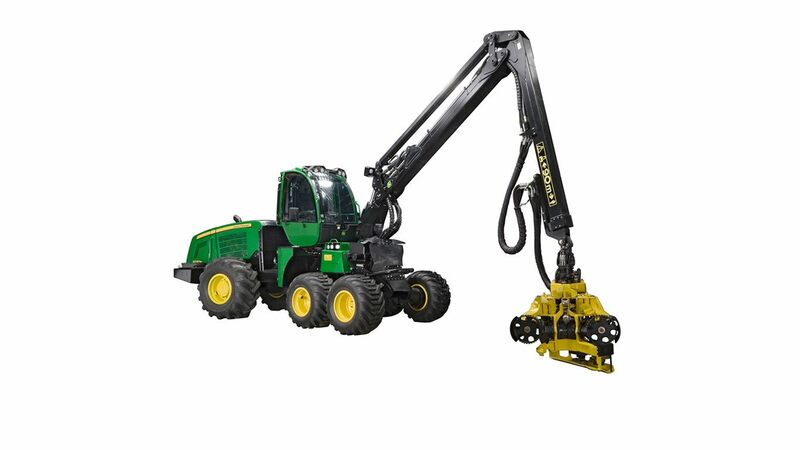 Revolutionary rotating cab tracks the boom up to 80 degrees in each direction so the operator can concentrate on the harvester head and the work at hand. The electric-motor-powered engine hood is split into two sections and tilts up for fast, easy access to daily checkpoints. For access to internal components, simply swing open the service door.